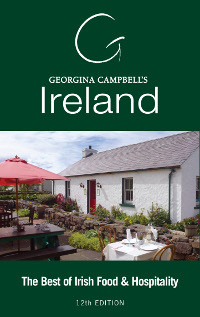 " /> Opened in 1991 with a match featuring golfing legends Christy O'Connor Snr. 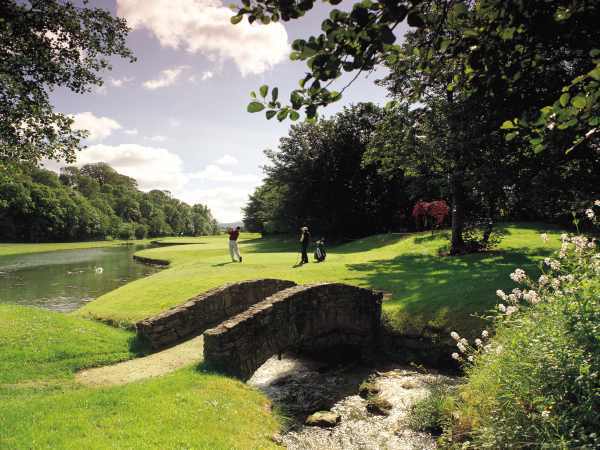 and Jack Nicklaus, the beautiful and challenging Nicklaus designed Mount Juliet course located 19km (12 miles) south of Kilkenny City has established itself as one of Ireland's premier parkland courses. To the delight of a big attendance, O'Connor won. 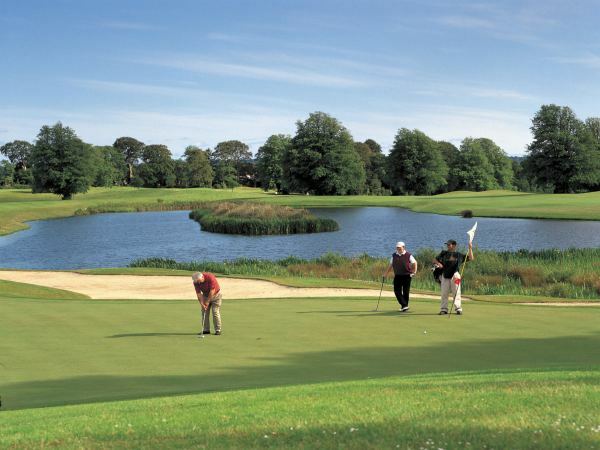 The course measures around 7,300 yards from the medal tees to a Par of 72 and is unique in Ireland due to its hosting the World's Top 50 golfers in the American Express World Golf Championship in 2002, and again in 2004. The event was a fantastic success on both occasions with the courses reputation being greatly enhanced by the quality of the golf being played. The titles went to Tiger Woods and Ernie Els respectively. The layout boasts rolling fairways, many feature water hazards and contoured greens (greens superintendent, Aidan O'Hara, is acknowledged as the best in Ireland at his craft), all superbly blended into the spectacular setting of this famous old Irish Estate. It presents a fair challenge, which rewards good play but punishes errors with strategically placed bunkers demanding a thinking game is played, water is also in play on seven holes. The course is invariably presented in excellent condition and feature holes abound on the course, but the 3rd hole, a stunning par 3 from an elevated tee to a green guarded by a natural stream and lake is one that golfers always remember. The par 5 10th hole with its copse of trees which tests the golfers strategy is also a favourite. The final hole, a long par 4 with water all down the left and a narrow approach to the green has decided many a tournament result.